ONLINE GOLD: What do Russians think these days about socialism, Stalin and similar subjects? Translated here are nuggets from a Facebook discussion among several Russian intellectuals, some of whom are Communists and Socialists, about the status of the Communism achieved in the USSR, followed by a brief exchange about the ideological role of Stalin. This interesting public expression during the month of last June of how Russian intellectuals see their own past—Socialism, Communism, Stalin and the USSR—of how they regard themselves and their country—is not something I see every day. If their words are not clear in some places, the reader should keep in mind that Russians sometimes have a complex manner of expression … and after all this is Facebook. You have to read between the lines and interpret. I have some 30-40 Russian “friends” on Facebook and follow them enough to know that though such a thread is not frequent, these topics are still not uncommon. In fact, references to the USSR and comparisons of life today with that of the USSR are very much alive, even though twenty-five years have passed since that country ceased to exist. V. Socialism is incomplete Communism. It faces a lot of problems that must be overcome on the road to a communist society. So either Socialism must either build Communism or build a mature Capitalism. By definition, life under insufficient Communism is bad. K. Still I like to think that Socialism is an inadequate creation with its admitted contradictions. L. Things are better in mature capitalism … but not in all forms, and not forever. E. Socialism is the transitional stage from Capitalism to Communism, during which the material basis must be created for the (final) transition. One always forgets that Communism aims above all at the creation of a new man, inalienable from his human essence, and for whom a new basis was created in USSR. But then at a certain moment the new man was forgotten and everything returned in a circle. Man became a wolf toward other men: “don’t touch what is mine”, “everything is for sale”. The 300 % capitalist would sell his own father. V. But all the same that basis was not created. The USSR undertook ineffective, gigantic wasteful projects during its history. In the first stage when industrialization was necessary it was effective and justified, but near the end the USSR became dependent on Western technology. S. Only idiots got stuck in the 70- year transitional period, but then people were thrown on the garbage pile of savage capitalism. Utopia! V. If there is no movement forwards, then the movement is backwards. That is natural. And it was not 70 years, but 30 — 1961-1991. S. And the utopian life until 1961? V. We are not speaking of utopia. V. There are two motor forces which determine people’s actions: ideology and personal gain. Stalin enjoys enormous esteem because he was a Communist. He was a very brutal leader, but his brutality was mixed with those lofty aims to which he strived and with the real results that he reached on the way toward achievement of the goals. Without Communism, Stalin was a fearsome bloody dictator under whom 1.5 million persons were shot (700,000-1.5 million between 1930 and 1953, the writer, a self-proclaimed Communist specifies in a reply) and several million worked without pay in the Gulag. I cannot understand how Stalin can be appreciated without his Communist ideology. For then there would arrive a new dictator with his untouchable entourage. Without Communism they will busy themselves with personal enrichment, while all the rest are frightened out of their wits. One says: “We must reestablish the USSR.” But it is not the USSR that must be reestablished on the territory of the former USSR, but rather Communism. Restoration of the USSR without the restoration of Communism would be essentially an ordinary seizure of the resources in the interests of capital. It is true that some people dream of such a seizure, not only in order to come to Moscow to work, as citizens with full rights. (Here he must have in mind a takeover by both foreign and domestic Liberals-capitalists) But also mercenary interests concealed behind “restoration of the Russian world”. 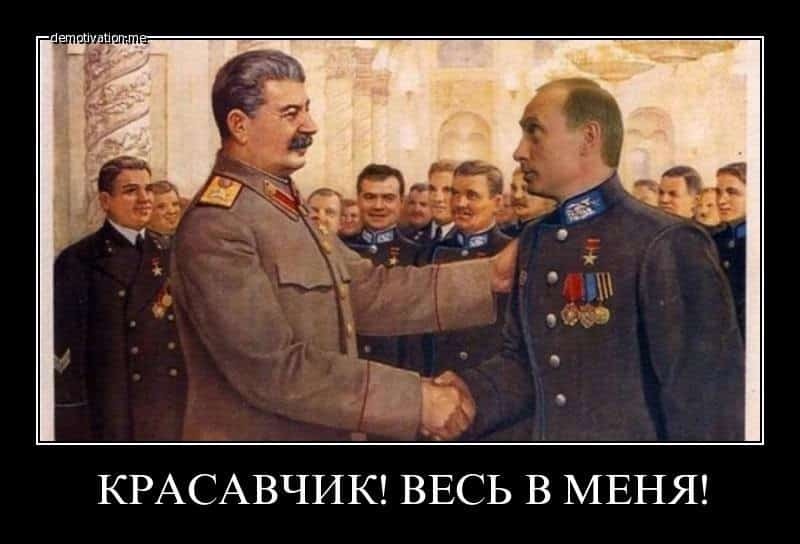 A commenter replies: There emerges one question about Stalin: after his great leadership, what happened to Communism or even to attempts to follow this path? Everyone understands that Communism is the only hope for the survival of humanity. After Stalin the world collapsed into cruel reaction and we do not know if we will manage to get out of it. A third commenter: In the US forced labor is a normal practice. There are even private prisons, that is, they are real businesses. Translated here are nuggets from a Facebook discussion among several Russian intellectuals, some of whom are Communists and Socialists, about the status of the Communism achieved in the USSR, followed by a brief exchange about the ideological role of Stalin. This interesting public expression during the month of last June of how Russian intellectuals see their own past—Socialism, Communism, Stalin and the USSR—of how they regard themselves and their country—is not something I see every day.